The parking policy for all contractors engaged in summer work on the River Campus will be enforced without exception. Contractors who do not adhere to these policies are subject to regular parking enforcement rules and regulations. 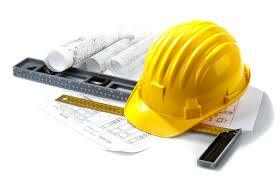 Failure by the contractor to comply may result in the contractor or contractor employee being banned from the campus. University Facilities and Services Administration including project managers will help support the enforcement and communication of parking policies to contractors. Registering for Parking – Please bring with you your vehicle information; plate number, make, model and color along with your Contractor ID badge to register for parking. 5 Designated 2-hour parking spaces for Contractor Supervisors Permits that includes in and out privileges. Enforcement – Vehicles parking in violation of University Parking rules and regulations shall be cited immediately. Vehicle owners shall be responsible for payment of citations. After three citations, the vehicle shall be immobilized. Violations include but are no limited to parking on the grass or sidewalk, fire lines, traffic lanes, disability parking spaces, and/or reserved parking spaces.